Hello all. 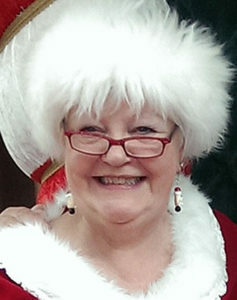 I’m Mrs. Claus, aka Janiece Cortemeglia and owner/purveyor of this site, Mrs Claus Jewels. Our site focuses on providing members of the Santa Claus community with the best values in high quality Mrs. Claus, elves and Santa jewelry, knick-knacks, and accessories. Our sister site, www.SantasClauset.org is a leading supplier of Santa Claus oriented accessories. Our products are priced fairly, in an effort to bring as many different products to Mrs. Claus at a reasonable price. We provide FREE SHIPPING for orders over $125, and all orders under $125 have a US domestic flat rate of shipping is $7.50. We ship via USPS with delivery confirmation. Packages over 1 lb. ship Priority and have $50 insurance coverage. Packages less than 1 lb ship First Class. have no insurance. If your package ships First Class then we refund back to you the unused shipping $$ you paid. If you want insurance that cost is extra. All international shipments less than 4 lbs ship International First Class Package Mail. International shipping cost is $22. If you want insurance that is extra. Mrs. Claus Janiece is passionate about exceeding your expectations, bringing you products of unparalleled quality and design. Mrs Claus Jewels loves our customers and welcome your feedback and suggestions. Please use our Contact Us page to tell us what we’re doing right or what we can improve on. My cell is 817-938-5974 Janiece & Tom Cortemeglia.